Many do not know it but President Akufo-Addo has rolled out an ambitious tourism project in line with his vision in the tourism sector. The 15-year-old tourism project is hinged upon the realities of the potentials of this sector of the economy. By the time its features are operational, the face of the tourism sector will never be the same again: it would be contributing so much to the public kitty that for those who have not been following the sector, they would open their mouths in amazement. Regardless of the enormity of a country’s resources, these would not return the required dividends without the necessary push such as what the President has set out to do. President Akufo-Addo’s passion for the tourism sector and its development is borne out of his clear knowledge about how much it can propel the economy to greater heights. It is obvious also that he sees in it an effective response to the diversification challenge, an assignment we must tackle as a people lest we endure painfully and regrettably the Dutch Disease. President Akufo-Addo’s obsession with the development of tourism is enormous: the tourism master plan is a carefully crafted module whose ability to rake in by 2027 a whopping $8billion from the current figure is going to be a game-changer of unusual dimension. When the President sets his sights on a project, he is sure about the returns thereof and would not be distracted as he goes the full hog to operationalise it. The development of this sector has never received such a boost and sincerely. 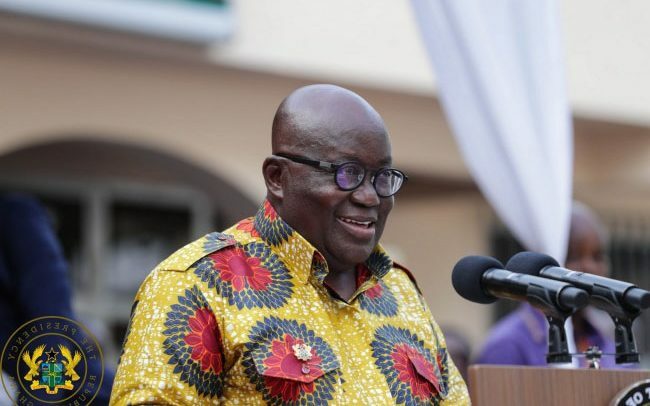 As the architect of the project, he has closed the proximity between him and the tourism works: the recent activities in the tourism sector which had important diasporan personalities touching down on Ghanaian soil offered a rare opportunity for them to gauge the seriousness of the government in turning the tourism sector around. It would pass for an act of irresponsibility if a country from whose shores 75% of slave dungeons for the trans-Atlantic slave trade exist, fails to tap from the rich tourism potential of this resource. The brains behind the recent tourism festival which encompassed conferences; trips across the country, and others, demand commendation for a wonderful arrangement which gives further boost to the tourism project. The ‘Year of Return’ as announced by President Akufo-Addo, is an apt opportunity of making Ghana appealable to blacks in the Diaspora; pitching camp here or even making consistent annual visits would add more feathers to the tourism cap of the nation. Of course, all the fun available in tourism studded locations elsewhere in the world abound here in Ghana. These only need enhancement to make them attractive to potential tourists which is what the President is eyeing and gleefully so. The certainty of success lies in many factors, one of which is the competence of the team the President has put together to run with the vision. We see that in his appointment of a Minister who with the required boost- infrastructural development, engagement of the appropriate skills and others- would definitely register the desired impact.